Happily, some of the products I was already using (and loving) are cruelty free, such as Balance Me which is available at M&S. They are non-animal testing and do not distribute to countries that require testing; as well as avoiding ingredients that are tested on animals. This Wonder eye cream was lovely; it made my eye area smooth and soft and helped to reduce fine lines, and the congested skin serum was lovely to apply under a night cream or even my foundation to prep and prime the skin. Likewise, Renu skincare is another brand that I'd not heard all that much about, but have really liked learning of. Made in the UK (Cheltenham) they are against animal testing, source locally and have a no airfreight policy, using land and sea to source materials. This Flash Relax mask was a lovely treat for tired skin; it smooths and lifts whilst gently toning and helping to even skin tone. I will certainly look into buying more from this brand - check out their website here. 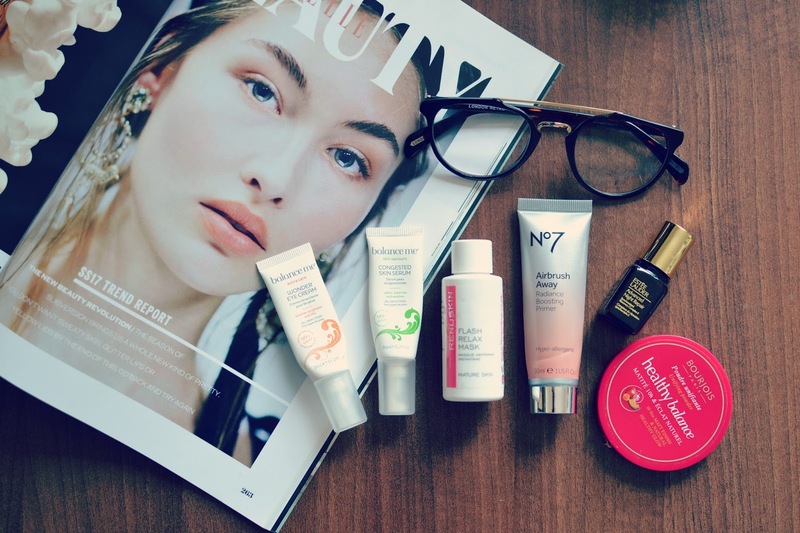 No.7 are another brand that are cruelty free, and since Boots do have a presence in China (but only apparently for pharmaceuticals, not cosmetics) they appear to be safe to shop. Having said that, I wouldn't repurchase this primer, I was quite glad to finish it. It felt really plasticy and I don't think it made a discernible difference to the longevity of my foundation. I actually prefer to use a serum on my skin and that seems to work better than another layer of primer. Unfortch, Estee Lauder and Bourjois are both in the bad books regarding animal testing, which is a pity as they have some great products, but I have looked to find alternatives for them. The Night Repair serum from Estee Lauder was lovely, but I have since replaced it with the Full of Grace serum bar from Lush which does a similar job. Likewise, the powder from Bourjois has been replaced by Emotional Brilliance by Lush which is just as good, if not quite as convenient, being as it is a loose, rather than pressed powder, but the consistency and longevity is brilliant.